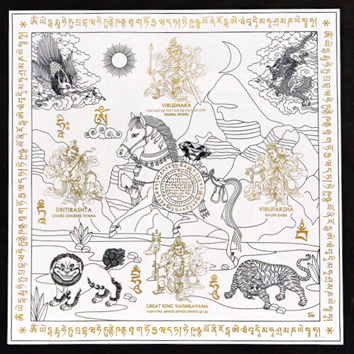 The Wind Horse is a very potent symbol originating from the old Tibetan Buddhism. The magical Wind Horse will activate your personal success luck and attract recognition and promotion luck. It will also assist you in enhancing your inner vitality and good fortune while protecting you against hostile forces. 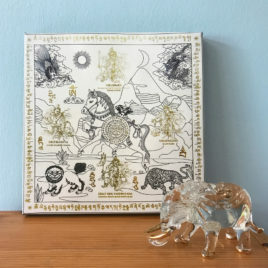 In addition to the magical Wind Horse, this Lumi Tile also features the four Great Kings in the four cardinal corners, and the four celestial protectors in the four diagonal corners. Powerful seed syllables and mantras surround the image. The muted colours make this a real classic! 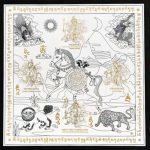 All animal signs can benefit from the Wind Horse. For animal signs whose personal success luck is strong, the Wind Horse will enhance their good fortune. 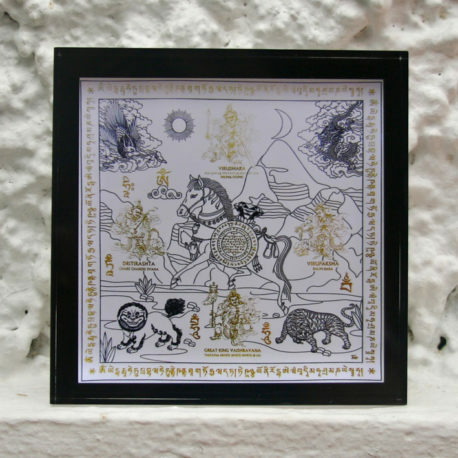 In years when your personal success luck is weak or you are facing obstacles, the Wind Horse will boost your energy levels and ensure that success can nevertheless be achieved. 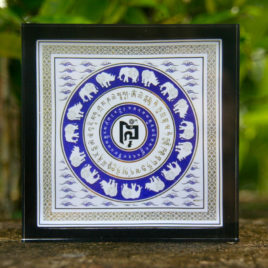 The Wind Horse Lumi Tile can be placed anywhere in your home or office. It also makes an excellent paper weight. • Rat, Tiger, Rabbit, Dragon, Horse, Sheep, Monkey, Dog and Boar. The Chinese people have always regarded the Boar (Pig) as one of the luckiest signs in the zodiac. As the saying goes “a family with a parent or child born in the Year of the Boar will never run out of food to eat!”. 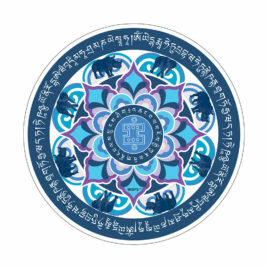 In Feng Shui, the Boar symbolizes all the good things: wealth, prosperity, happiness, fertility and good fortune. Two boars together also symbolize “chee long yap suey”, the Cantonese way of describing the symbolic Baor Year bringing water – meaning prosperity luck!